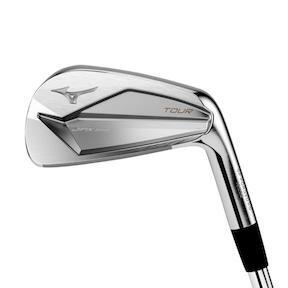 The waning months of 2018 did see some major equipment buzz, however, when Mizuno introduced its new trio of JPX 919 Irons. The company’s devoted army of fans started posting glamour shots of the new sticks on social media, drooling quite publicly over the next generation of what many golfers believe to be the highest-quality irons on the market. 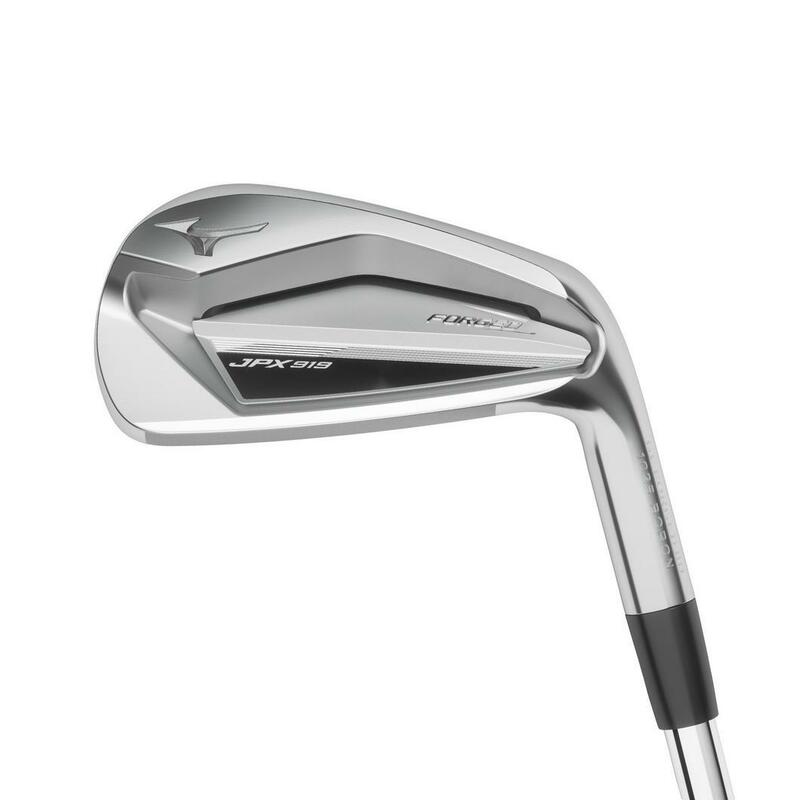 The latest Mizuno line includes the JPX 919 Hot Metal (8-piece set, $1,000), designed for players looking for more distance and ball speed. Sleeker than your classic “game-improvement,” clubs, the Hot Metals still feature progressive offset, larger clubheads on longer irons, and weight distribution to help get the ball in the air faster and higher. The next set in the line is the JPX 919 Forged (8-piece set, $1,300), suited for a wide range of players, from pros to low- to mid-handicap recreational players. There’s a new concealed micro-slot in the sole to increase ball speed, and the same Grain Flow Forged HD steel used in the real “players’ irons” of the line, which allows for a more compact clubhead with a thinner face than previously possible. 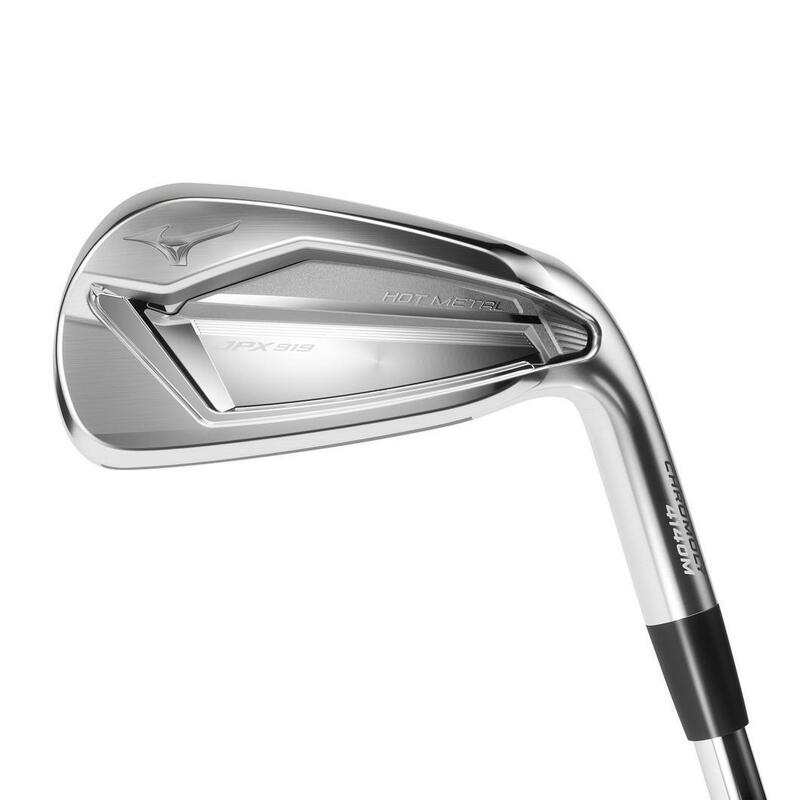 Speaking of which, the JPX 919 Tour (8-piece set, $1,200) replaces the 900 Tour irons (the ones Brooks Koepke plays). These are sleek blades with even thinner toplines than the 900s, but with an added “stability frame” that helps lessen the penalty for off-center strikes – a technology shared among all three JPX models. Full disclosure: I was one of those equipment nerds drooling over the new Mizunos on social media. When my wife came downstairs late one night and spotted me staring lustfully at my computer monitor, she thought she had caught me in a lecherous moment. Then she saw what I was staring at – a close-up of the JPX Forged Irons – and just shook her head. So you can imagine my reaction when my very own JPX 919 Forged set arrived. My son said that he had never before seen me “giddy.” So sue me. A few days of golf weather remained yet when those irons arrived, and I headed straight to my home course, Lake of the Woods, to test them out. Now, I’ve been playing quite well with my Mizuno MP-25 irons, which I’ve had for the past few years. Days when my ball-striking is “on,” the more blade-like MP-25s are pure and true. The problem is, many days, my ball-striking is not quite “on,” and I make a lot of contact out on the toe. The weighting on the MP-25s has most of the mass in the center of the face and toward the heel. The result, for my dominant right-to-left ball flight, is often an exaggerated draw or even a hook on those “off” days. The weighting of the JPX 919 Forged irons is, in contrast, slightly more toward the toe. I don’t know how this would affect contact or ball flight for players who tend to lose shots to the right, but for my ball flight, the weighting leads to a slowing of my normal over-rotation and a more square clubface. At first, my tendency to aim right caused me to miss several shots to the right, because I was hitting the ball where I was actually aiming. Once I realized this, and took dead aim on my target, I was rewarded with shot after shot that flew straight – uncannily straight. Moreover, if I set up for a cut or fade, I could actually hit one. Amazing! In short, the JPX 919 Forged irons are able to do everything my MP-25s did, but with much more ease and consistency. Best of all, even mishits on the toe traveled straight and nearly as far, thanks to the increased mass toward that end of the clubhead. This feature was demonstrated to me on the par-3 4th hole at Lake of the Woods, when I hit my tee shot slightly on the toe (9-iron), producing a baby-fade that tracked directly at the flag, landed a foot in front of the cup and bounced, somehow, past the flagstick to land a foot behind it. Best shot I’d had at that devilish 150-yard hole all year long. Sometimes “buzz” is just empty hype. Not in the case of the new Mizuno JPX 919 Irons. These are the real deal. If you’re looking to upgrade your irons for 2019, I’m going to go out on a limb and say that you won’t find a better option than the JPX 919 line, no matter what your skill level is.